Florido is spanish for “ornate” and this chair is definitely that! Every inch of this chair is uniquely designed and crafted by hand. 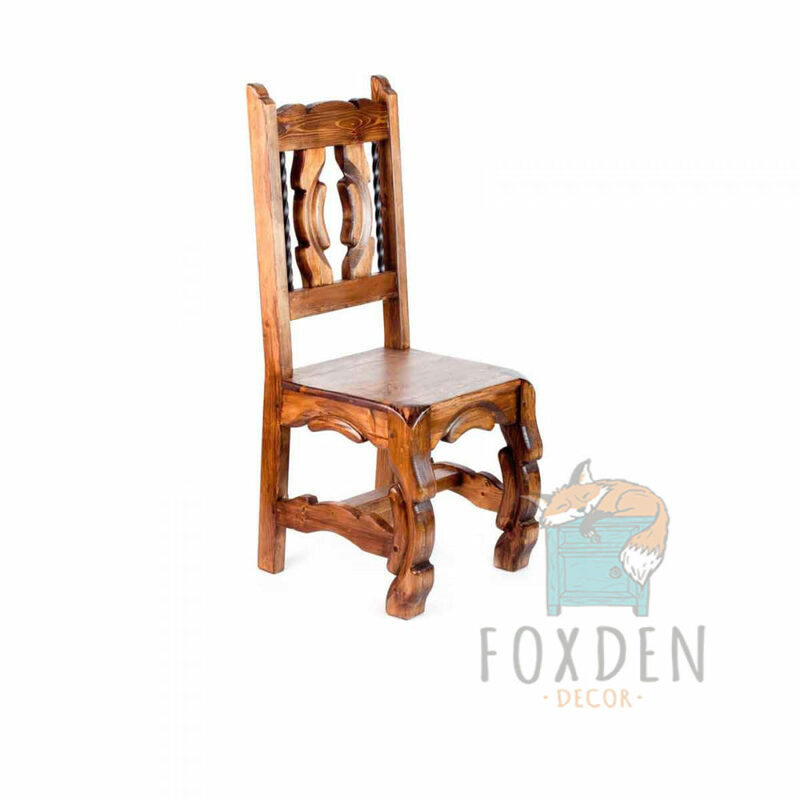 The organic style makes this piece stand out from ordinary chairs but keeps a traditional look and feel. The back is detailed with iron bars that help tie in a rustic look. This piece is finished by hand using a classic dark stain, but can come in any other color! The seat sits at 18″ high.